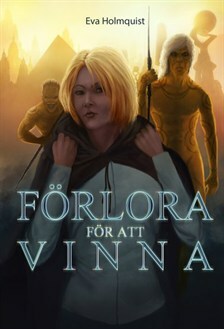 Eva Holmquist: Förlora för att vinna (To Lose in Order to Win). 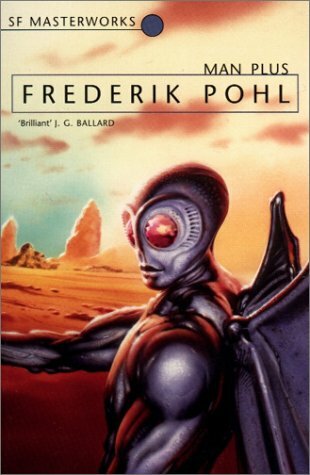 This engaging Swedish traditional sf is about a diplomat on a world inhabited by humanoids which develop in stages like insects. This gives an extra dimension to the central conflict that is her protests against the use of child soldiers in a war and to her love affair with one of the aliens. Seven short stories with a common theme, a society where there is no longer any scarcity and everyone is forced to consume as much as possible. In these entertaining satires it is wealth not to need to consume. 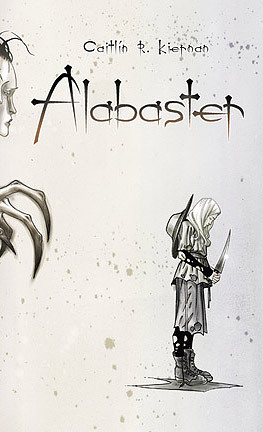 Wonderfully strange connected stories about the adventurous childhood and adolescence of an albino girl who is haunted by her angel, with a language that makes you really feel both the horrors and the beauty of the settings. 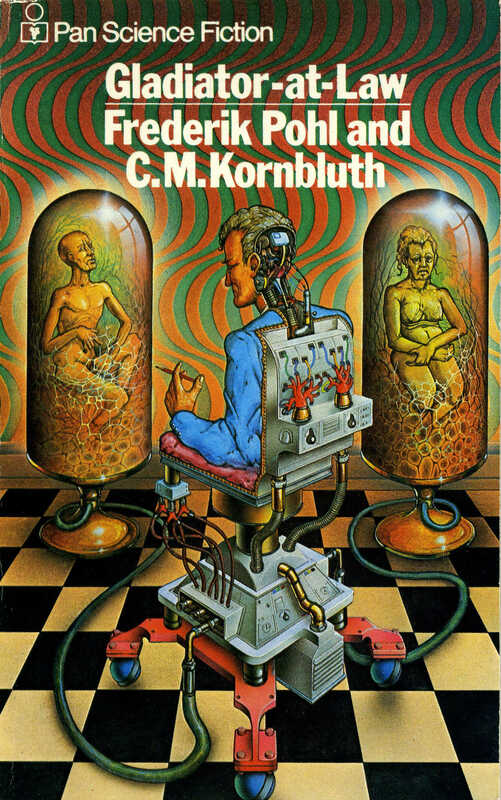 Frederik Pohl & C. M. Kornbluth: Gladiator-at-Law. A not entirely successful political satire set in a future USA where there is a strict division into poor and rich, corporate lawyers have the power and the masses are entertained by violent gladiator plays. The story is unfortunately a bit too unlikely for the satire to work, and there is too much going on. Eduardo Jiménez Mayo & Chris N. Brown, eds. : Three Messages and a Warning. 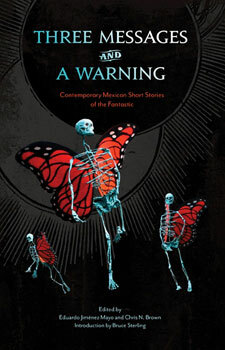 This is a collection of Mexican very short stories, most of which had some fantastical element. Thus, there are stories about a mother who paints a landscape where she disappears, a mermaid who goes back into the sea, and a blind who creates new worlds. There are a few real sf stories about aliens, time travel and genetic modification and a couple of horror stories with murder and werewolves. In spite of a lyrical style the collection fails by being too varied – perhaps better to read the stories over a long time. 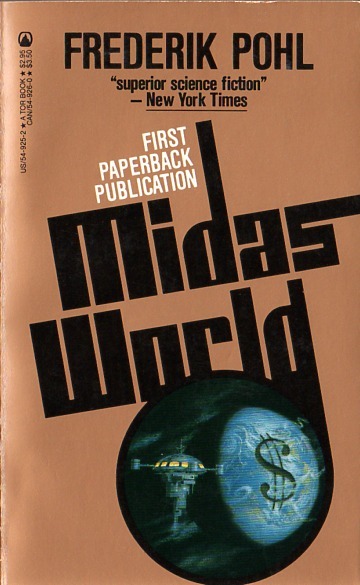 In this novel a man is altered mainly by surgery to be able to survive on Mars without any terraforming or space suit, and that part of the novel is interesting. There is also a lot about the intrigues and love affairs at the centre where he is modified, and these stories are less entertaining. When he is supplied with a girl who is modified to be as physically similar as possible to his unfaithful wife he falls in love, and there are a lot of other events that indicate a peculiar view of women. The role of computers in the story is more interesting and provides a fine twist at the end. 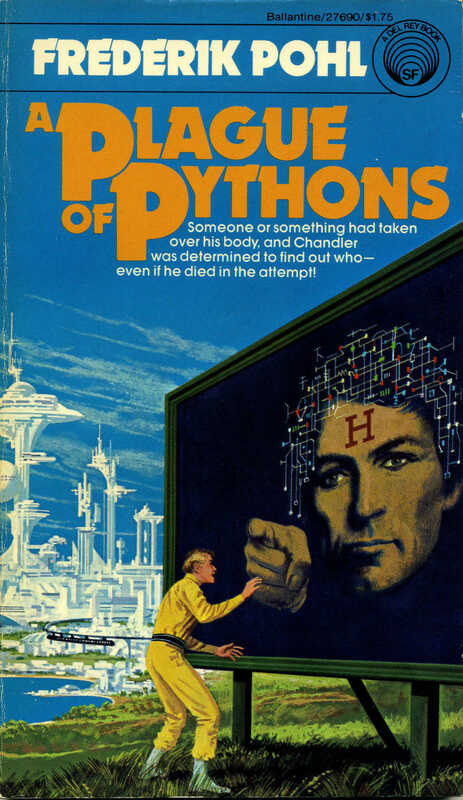 Frederik Pohl: A Plague of Pythons. This interesting novel starts with a lawsuit where the defendant has raped and murdered a woman, and says that he has been influenced by an external force as has been the case for many others. Although the mechanism behind this influence is never satisfactorily explained the plot is convincing under the circumstances and the characters are interesting, and the end is amazing.